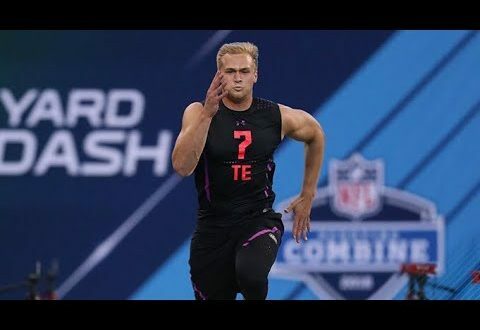 Prior to the NFL combine, my top rookie TEs were Dallas Goedert and Mark Andrews and they were far and away in a separate tier. Now, I’m not one to overreact to combine performances, and I try to take the results with a pinch of salt. But, sometimes you can’t help but think, “Great Odin’s Raven”! As my good friend Jackie Moon would say, “In the annals of history people are going to be talking about three things: the discovery of fire, the invention of the submarine, and Mike Gesicki’s NFL combine”. Measuring in at 6’5”, 247 pounds, Gesicki’s combine scores accumulated to equal a SPARQ score of 150.0. That athletic score ranks in the 99th percentile of NFL TEs. 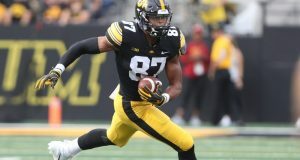 He ran a 4.54 40-yard dash (95th percentile), 22 bench press reps, a 41.5 inch vertical, a 129-inch broad jump, and a 4.10 20-yard shuttle (99th percentile agility score), to name a few. Additionally, he had a Speed Score in the 96th percentile and a catch radius in the 100th percentile. It doesn’t get much better than that…. A combine performance that may be considered one of the best in history will certainly make you reconsider a few things. At Penn State, Gesicki was a decent receiver, but I considered him more like an oversized WR, rather than a TE, and I certainly didn’t realize his athleticism was this impressive. The former high school basketball star isn’t the kind of guy who can improve a run game with his blocking, but he sure will stretch the seam. Matched up against linebackers and safeties could be a mismatch that NFL QBs love to take advantage of. 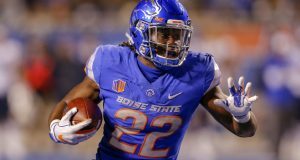 NFL.com’s Lance Zierlein notes that although he’s very speedy, his gangly lanky shape and big stride length means his play strength isn’t as good as it could be, and his route running is elongated out of breaks. There are plenty of NFL teams in need of TE help at the moment. Miami, Jacksonville, Detroit, Seattle could certainly use a player of his abilities. I liken his athleticism and play style to that of Vernon Davis. One thing is for sure, he’s made his way into that upper tier of rookie TEs alongside Goedert and Andrews in my opinion. I still prefer Goedert and Andrews, but Gesicki will certainly provide value in the 2nd round. Previous: Is Richie James a Late Round Steal?